Natural Body Scrubs are a very important part of keeping your skin healthy and looking it's best. Using a body scrub once or twice a week removes dead skin cells and unclogs pores. This not only prevents your skin from becoming dull looking but it also enables your skin to take better advantage of any moisturizers or skin treatments you apply to it. Your skin will not only look smooth and refreshed, it will also be naturally healthy! The following scrubs are luxurious and proven to improve the health and appearance of your skin. 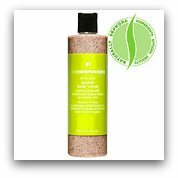 Ole Henriksen Loofah Body Scrub This scrub effectively smooths away rough spots and leaves skin smooth and moisturized. It has a cooling effect with a fresh minty aroma. It is an ideal scrub to use in the morning because it also perks up the old brain and and gets the skin tingling.Natural Loofah, Walnut Powder and rounded Jojoba Wax beads naturally and gently exfoliate. Vitamin A and E are high in antioxidants and regenerate and repair skin. Ole Henriksen Loofah Body Scrub contains no Sulfates, Synthetic Dyes and Fragances, Petrochemicals, Phthalates, GMO's and Triscolan. Suki Exfoliate Foaming Body Cleanser This scrub is suitable for all skin types, especially dry, eczema, and acne prone skin. 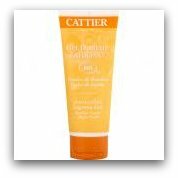 It exfoliates while delivering essential nutrients and increases circulation. Organic Lemon Grass, Organic Sugar, Acai Oil and Coffee Beans exfoliate dead skin cells, blemishes and dry patches, increases blood flow, smooths bumps, unclogs pores and reduces dullness.Formulated for eczema prone skin 100% vegan, 100% organic and 90% organic. 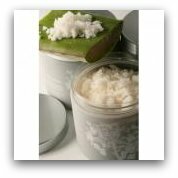 indian jasmin isla das rocas revitalizing sea salt scrub This luxurious scrub removes dry skin, stimulates circulation, firms and softens.Salt Crystals are unrefined and enriched with health enhancing minerals. Sea Algae is rich in antioxidants and protein. Aloe Vera cools, heals and moisturizes skin. Also enjoy the benefits of Jasmine, Tangerine, Neroli, and Ylang Ylang.This product is free from Parabens, Sulfates, Artificial Dyes and Fragrances and Synthetic Preservatives. Spoil yourself today with one of these natural body scrubs and have silky smooth, healthy skin!